For my card today I have made a video showing how I made it. I have had requests to do these kind of videos so thought I would give it a go. I apologise for the black borders around the video - quite annoyingly I edited it in the wrong format (I have noticed a few of my other videos have that too) but for me to re-upload I would have to edit my whole video again and it would take too long. So for now I have the borders but hopefully they will be gone on the next one! Thanks so much for visiting me today. Hope you liked the video, is it something you would like to see again? such a pretty card Michelle and fab video !! This is so perfect Michelle. Just perfect. The card looks great and love the video. I love everything you do Michelle and the videos is an extra bonus so please keep doing them!! 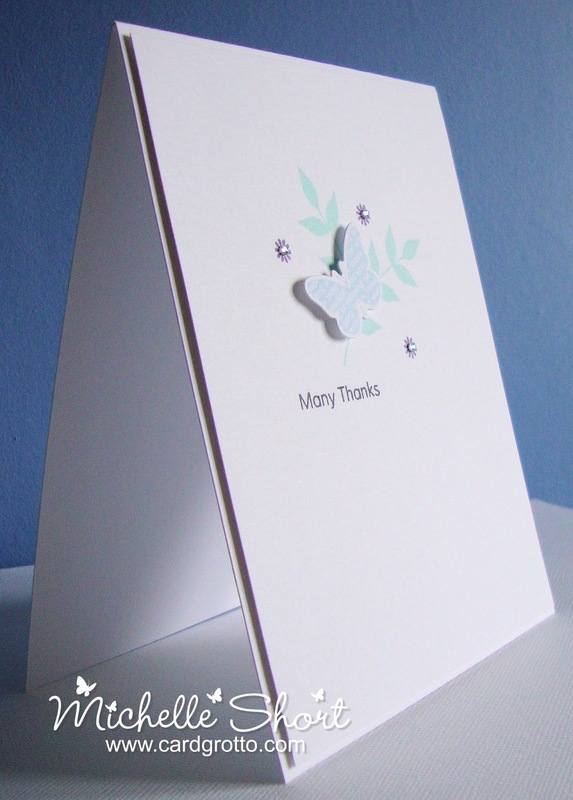 Gorgeous card and you make it look so simple!! Great video - is it a little sped up? If so I actually like that as i am not a fan of long videos (e.g 10 mins or so). I find around 5 mins to be perfect (which is what yours is). Looking forward to seeing more! 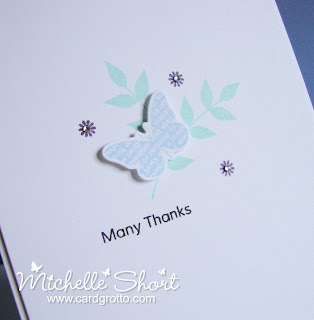 The perfect sweet CAS card, Michelle, so soft and lovely. It is very generous of you to take the time to do the video tute! Thank you! !